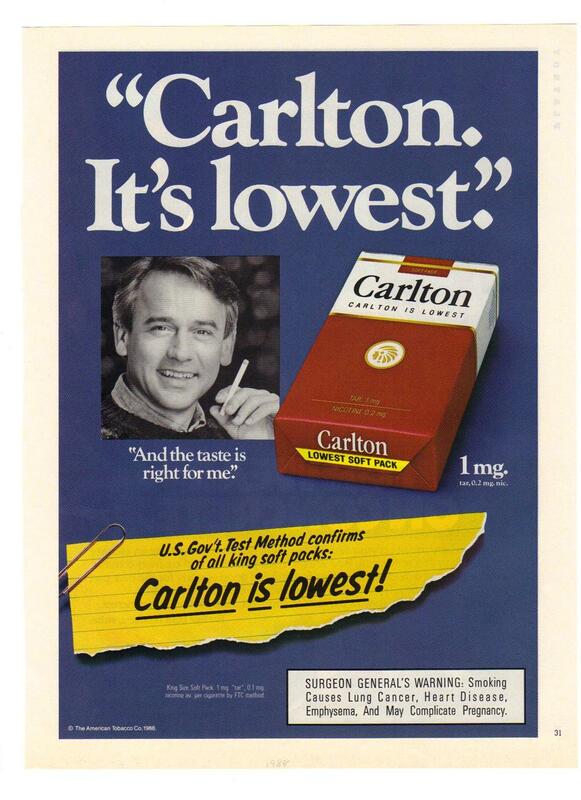 Archive: 902 - Carlton Soft Pack Original 1988 magazine Ad, from private collection, in very good condition. See my scan, measures Approx. 8"x11" and would look fantastic framed would make a fine addition to your collection. An original vintage magazine print ad from the year published. Print ads make unique gift items that can be framed as artworkThis is not a Reproduction, but actual "Bits Of History”. placed in plastic sleeve and mailed in a tube for protection. Same day shipping, free delivery confirmation.